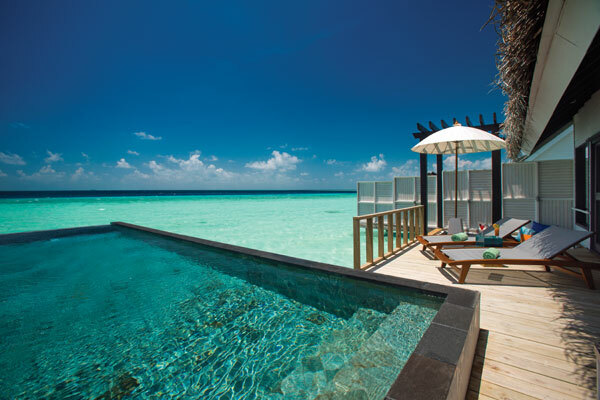 Say “Maldives holiday” to someone and they’ll probably think of a row of rooms on stilts above a crystal clear lagoon. They won’t necessarily know there are over 1,000 islands in 26 ring-shaped atolls spread over 115 square miles. Just two of the islands have airports that can take international flights. Onward travel to the various resorts is by boat to those nearby or seaplane to those further away. Tourism began in the early 1970s and numbers of resorts grew relatively quickly to over 100 now. While there is a degree of similarity between them, it’s worth asking yourself a few questions to help decide which one might suit you. Do you want to sleep on land or over the sea? Many properties, such as Ozen by Atmosphere, offer both options with over-water villas offering direct access to the ocean, while their Earth villas offer access to the beach and have two-bedroom family options. Are you a spa and gym person? 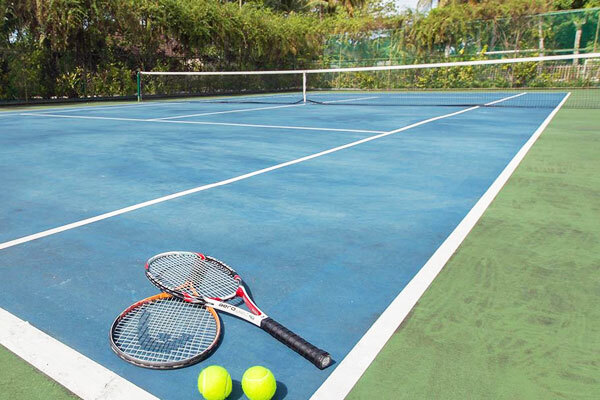 Or is tennis your thing? Watersports are the big thing on the Maldives, and most properties offer diving and snorkelling. However, if the ocean isn’t for you, that doesn’t mean you can’t keep active away from home. 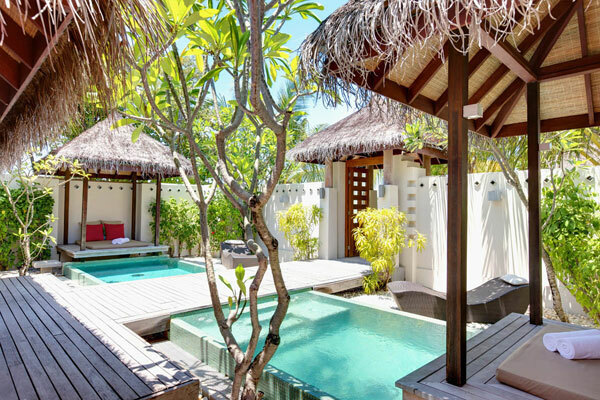 While LUX at South Ari Atoll is a bigger property with 193 rooms, this does mean that the gym has an instructor and runs classes, and the spa has 15 treatment rooms, some of which are over water. On the same atoll is Lily Beach which has a tennis court for those wanting to enjoy a game on holiday. 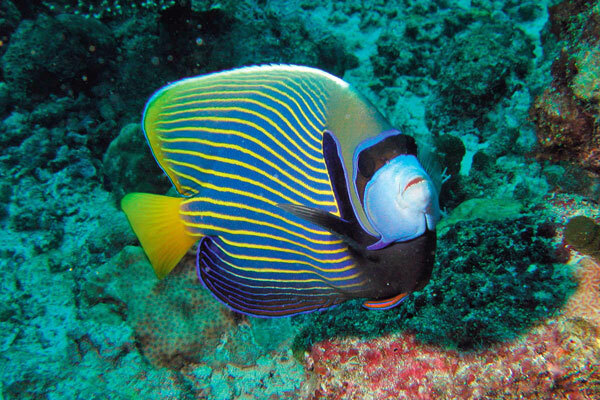 Do you want a house reef or happy to hop on a boat to dive sites? 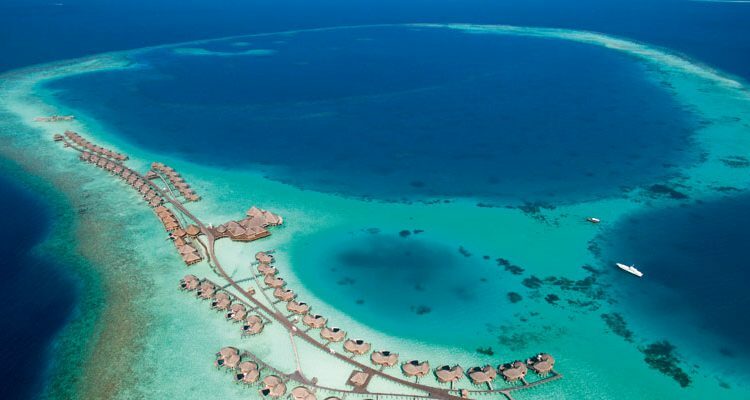 A house reef, like the one at COMO Maalifushi, gives snorkellers the chance to head out without waiting for a group or taking a boat. 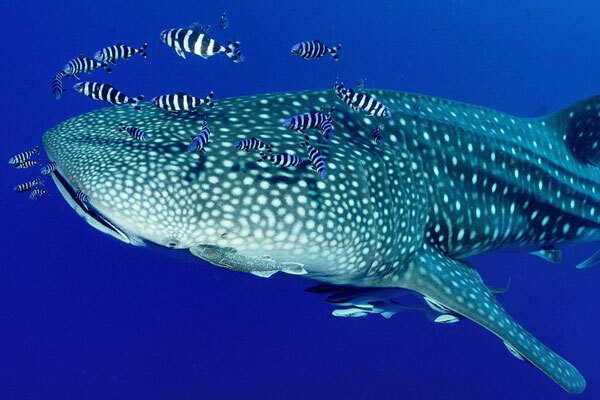 Boat trips are also arranged for divers and snorkellers looking to head further afield. Or are you into a watersports niche – surfing, kite-surfing and hoverboarding? Niyama offers surfers and kite surfers the chance to enjoy their sports, while LUX South Ari Atoll likes to think it offers the widest range of watersports available in the Maldives including hoverboards, kitesurfing and a glass bottomed boat. If you’re a family, do you want a kids’ club? 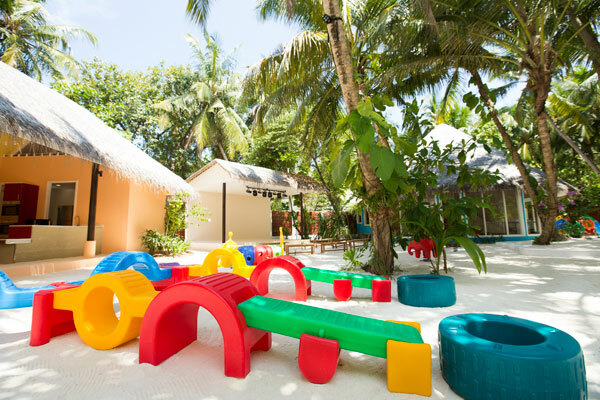 Children from four years old can enjoy the kids’ club at Constance Halaveli free of charge and like other properties they will take children even younger than this but will charge for the service. Most properties with a kids’ club will look after children up to 12 years old like Niyama. If you’re on honeymoon, do you want adults only? Do you like the certainty of all-inclusive? 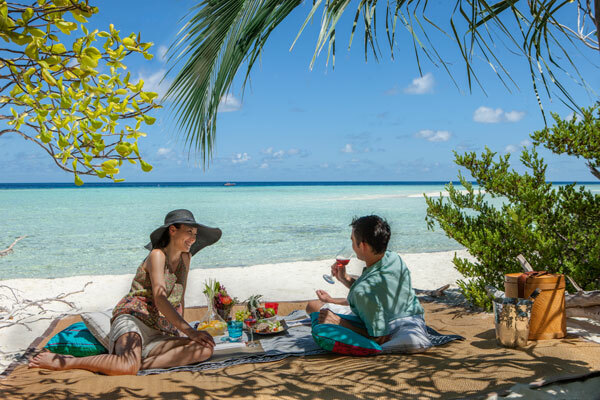 Maldivian hotels, such as The Residence, offer a variety of all-inclusive packages, allowing virtual certainty of what you will spend. 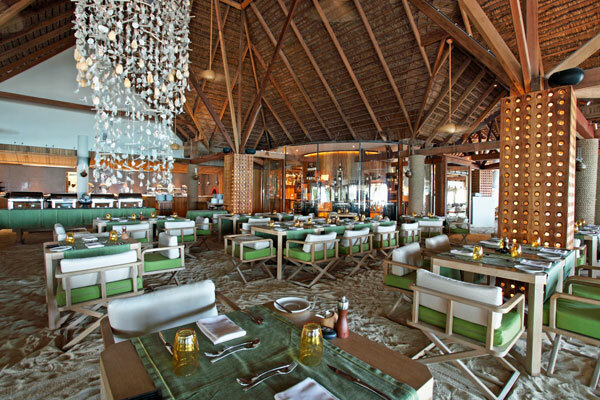 A standard all-inclusive covers meals, with some as set menus or buffets, lots of soft drinks and limited alcoholic drinks, while a premium all-inclusive offers more meal and drink choices and a limited number of excursions. Have a think about your answers to the above questions and let us know. We can then suggest properties and atolls likely to be most suited to your wishes. I would like a beach front villa on an island with a fabulous house reef. I don’t need spas or luxury anything, just a good reef and relaxed atmosphere. Looking for 10 days in Jan, Feb or March. Lucinda joined the Aardvark team in 2010, fresh from a several years working at a remote bush camp in Zambia’s South Luangwa Valley – a position she found after her passion for Africa was sparked by a charity climb up Kilimanjaro and a Kenyan safari - organised, coincidentally, by Aardvark. Lucinda joined the Aardvark team in 2010, fresh from several years working at a remote bush camp in Zambia’s South Luangwa Valley – a position she found after her passion for Africa was sparked by a charity climb up Kilimanjaro and a Kenyan safari - organised, coincidentally, by Aardvark. Unable to drag herself away, the initial five month position eventually spanned four years and stints working for two of the best safari companies in Zambia. It only came to an end when a 15kg sausage fruit fell on her wrist, resulting in an injury that required surgery back in the UK. As well as visiting some of the more remote areas of Zambia, her travels around the continent include Mozambique, Malawi, Zanzibar, Tanzania, Kenya, Uganda, Rwanda, South Africa, Zimbabwe, Botswana and Namibia. 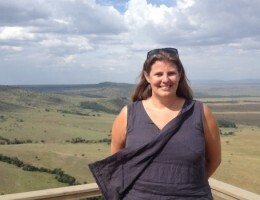 Prior to Africa and Aardvark, Lucinda completed a degree in History of Art, spending a year at a Rome university where, in her spare time she worked as a city guide leading six to seven hour tours of the Vatican City, walks of the historical city centre, and tours of the Colosseum and Roman Forum. Returning to Rome after graduating, she spent a further 18 months leading and developing tours around this ancient city and the surrounding areas. Other employment in her wonderfully peripatetic career includes working on a magazine and a spell as an estate agent. Away from the office Lucinda is a keen photographer and grew up riding and eventing. She loves the opportunities that Africa provides to indulge in both these passions. Having run safari camps she has a good insight into Africa and the people who come to visit, and what makes an average camp truly great. There are so many but these would be a start: Watching nearly a thousand pelican flying through the pink streaked sunset sky in Liuwa Plains, Zambia; riding with white rhino and walking with black rhino in South Africa; spending time with the endangered mountain gorillas; reaching the summit of Mount Kilimanjaro; and lying in bed at night listening to the hippos in the river and the local lions roaring in camp. Impossible to answer – I am as happy watching elephants at a waterhole or a leopard up a tree with its kill as I am marvelling at a flock of carmine bee-eaters. Apart from snakes, I will admire any African wildlife for hours on end. 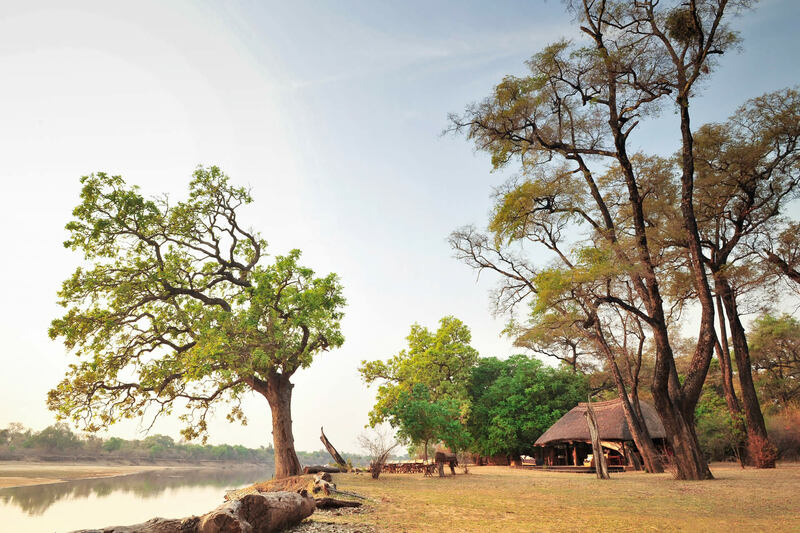 Mchenja in the South Luangwa will always have a special place in my heart as the first camp I ran. It has a stunning position, a wonderful team of staff and fabulous wildlife all around, and quite often inside, camp. 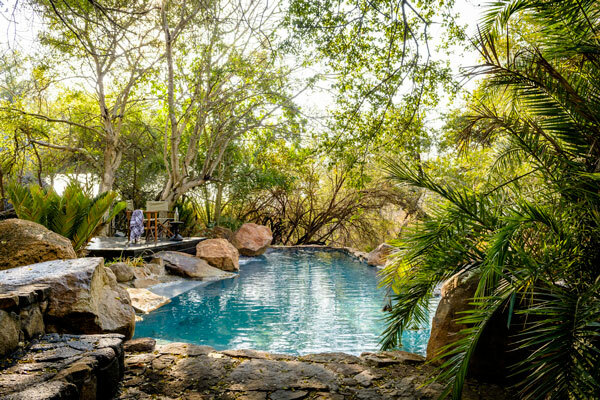 Singita Ebony in the Kruger – who wouldn’t want to watch elephant and buffalo, amongst others, from the comfort of their private plunge pool? 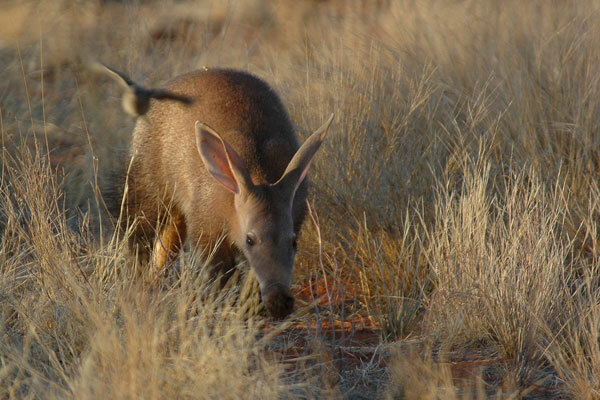 Tswalu – a completely unique area with stunning landscapes and great wildlife viewing, with some rarer species like the elusive Aardvark. Can I have just one more? Virunga Lodge in Rwanda has some of the most extraordinary views I’ve ever seen and is the perfect base from which to track the mountain gorillas. Botswana,Kenya, Malawi, Maldives, Mozambique, Namibia, Rwanda, South Africa, Tanzania, Uganda, Zanzibar, Zambia, and Zimbabwe. I am lucky enough to have a job which is essentially about making people happy. 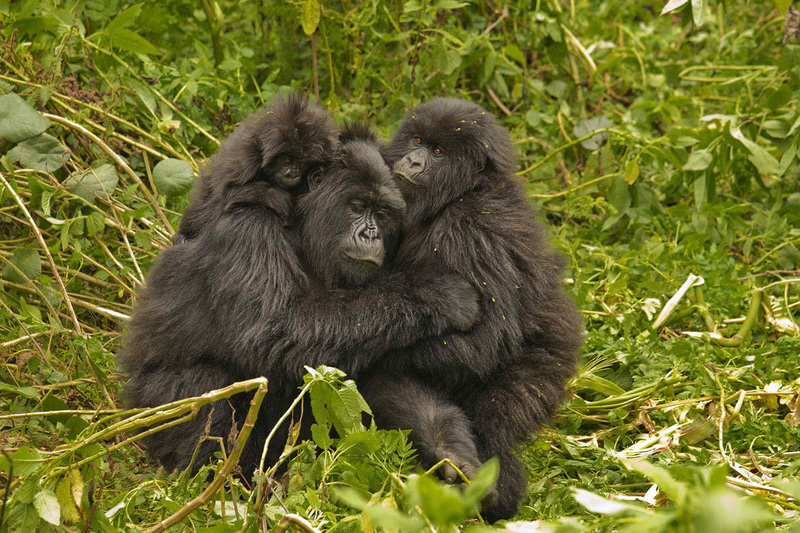 We strive to ensure that, through our knowledge, we can plan and put together superb holidays. What makes a perfect safari will depend completely on the person I am are arranging it for - a simple dome tent works for some while a room with a private plunge pool would be better for others. There are some key essential ingredients; excellent guiding, great wildlife and few other people in the same area, but really it’s all about getting to know what you want. I particularly enjoy hearing about the trips I’ve arranged when my clients return, it’s a great buzz when we manage to exceed expectations.